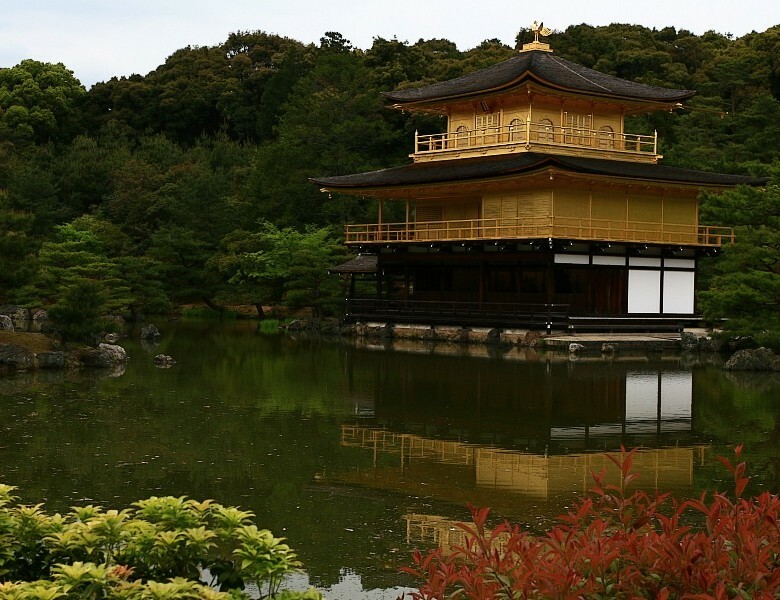 Kinkaku-ji, the Temple of the Golden Pavilion, is not only one of the best known and most magnificent temples in Kyoto, but probably also the most photographed. As it literally glows right next to a pond in the middle of a wonderful garden, tourists from all over the world gather here and try to capture the impressive scene. Unfortunately the sky was very cloudy when visiting this temple, resulting in very soft and dull colors. Nevertheless, I decided to push the colors "to the max" during post processing, since the temple with its golden shine feels somewhat "heavenly"... And of course: I like vivid colors!